Son Volt recently did an in-studio performance and interview on NPR Radio's World Cafe program. "To many listeners, the album's blazing guitars are sure to bring to mind some of the greatest recorded moments of Neil Young & Crazy Horse. Lyrically, Farrar continues to reinterpret the myth of America, as he did in his former group, Uncle Tupelo." Jay Farrar discusses the new album 'Okemah and the Melody of Riot' and play several cuts including "Afterglow 61". Interestingly, he discusses driving Highway 61 from Minneapolis to New Orleans. FARRAR: "I did get out to clubs occasionally to see zydeco people like Boozoo Chavis. I even made it to a couple Cajun festivals. And I did two sessions at Chez Flames, that Keith Keller recorded. Several of those songs wound up on the Rhino retrospective. My friend John Maloney played drums on “Rex’s Blues,” recorded in 1995. The other two songs, “Ain’t No More Cane” and “Tulsa County,” were recorded in 1997 with Son Volt on all the instruments." FARRAR: "Without Highway 61, we may not have had Bob Dylan or Leadbelly." "There's an immediacy and a starkness that's there. I think a lot of Leadbelly's arrangements and his use of the 12-string guitar were atypical, especially the 12-string, which showed his individuality. I guess he approached it that way because the 12-string was louder. Leadbelly and the punk rock aesthetic - maybe there are some similarities there." "Musically it is less experimental than his solo releases but it does contain a variety of tempo and dynamic changes. The bottom line is that this is a rock record that does not feel like a band album. Farrar’s vocals sit deep within the mix and he is often singing in a higher register which calls attention to his voice, almost as if picking out a cry for help in a crowd. Purposefully or not it is compelling to have to strain to pick out the lyrics he is singing. It gives weight and urgency to the songs, as if Farrar is racing and escalating his voice to get out what needs to be said before he is drowned out. There is even a point where Farrar appears to 'force' a line, which, while all too common in other songwriters these days, is not something Farrar has done before. On "Afterglow 61" he repeats this line again and again and despite the extra syllable and a half bridges the gap between his intent and delivery. That is the crux of this album, all these songs are what Farrar wants to say, musically, dynamically and lyrically, but housed in his conception of what a rock and roll band sounds like." "It was big news when Uncle Tupelo broke up in 1994, with founders Jeff Tweedy and Jay Farrar embittered over one another’s actions. While Tweedy went on to form Wilco and Farrar Son Volt, only Tweedy would publicly discuss the dissolution of the band—until now. 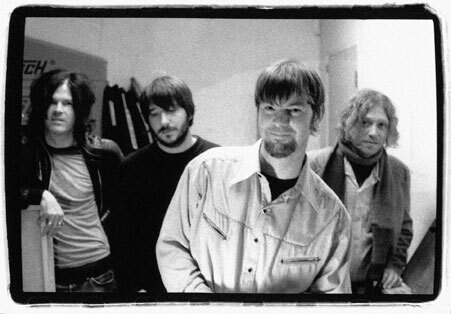 Farrar sat down with Anthony DeCurtis this past January, while putting the final touches on Son Volt’s latest, to tell, for the first time, his side of the Uncle Tupelo story. Tweedy has spoken freely about the event from the beginning, allowing his story of Tupelo's disintegration to be generally accepted as fact. Here's his version: Farrar and Tweedy meet in high school. Tweedy, unexperienced as a musician at this point, looks at Farrar, who has been in a number of bands with his older brothers, as a role model. The two teens, along with drummer Mike Heidorn, form Uncle Tupelo. The band's first two albums are heavily influenced by Farrar, but Tweedy improves and takes a greater hold on the group, which (as the story goes), Farrar found hard to swallow. This creates tension and the men stop communicating. Around this time, Heidorn leaves, worsening the situation. A major-label deal brought Tupelo up from the underground, putting on the pressure that led to Farrar's departure. A crushed Tweedy groups the band's remaining members together to form Wilco, and Farrar meets up with Heidorn to create Son Volt. Farrar does not necessarily disagree with all that, but has his own (juicier) side to contribute to history. In the lengthy Relix interview, Farrar tells journalist Antony DeCurtis that things started to unravel after he saw Tweedy stroke the hair of his girlfriend of seven years, Monica Groth (now his wife), as she was sleeping. "I found out later that he was telling her stuff, like, he loves her," says Farrar, who attempted to quit the band the next day." Also, here's a review of Son Volt's "Okemah and the Melody of Riot" and more on Neil Young's influence on Jay Farrar and Son Volt's music.